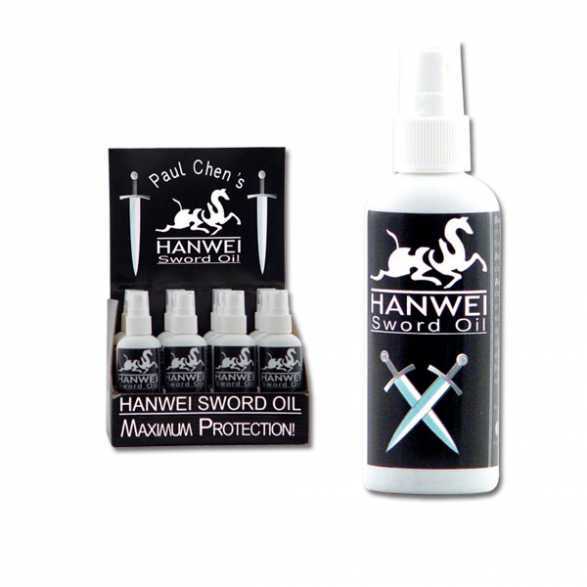 CAS Hanwei Sword Oil is specially formulated to provide corrosion protection for high-carbon steel blades and other edged weapons. 4oz bottle. Spray onto a clean white rag and wipe the blade and any metal surfaces for protection against rust.